Pavilion’s Premium Ipe Decking is an uncommonly strong and exceptionally durable hardwood decking that is stable and warp-resistant. 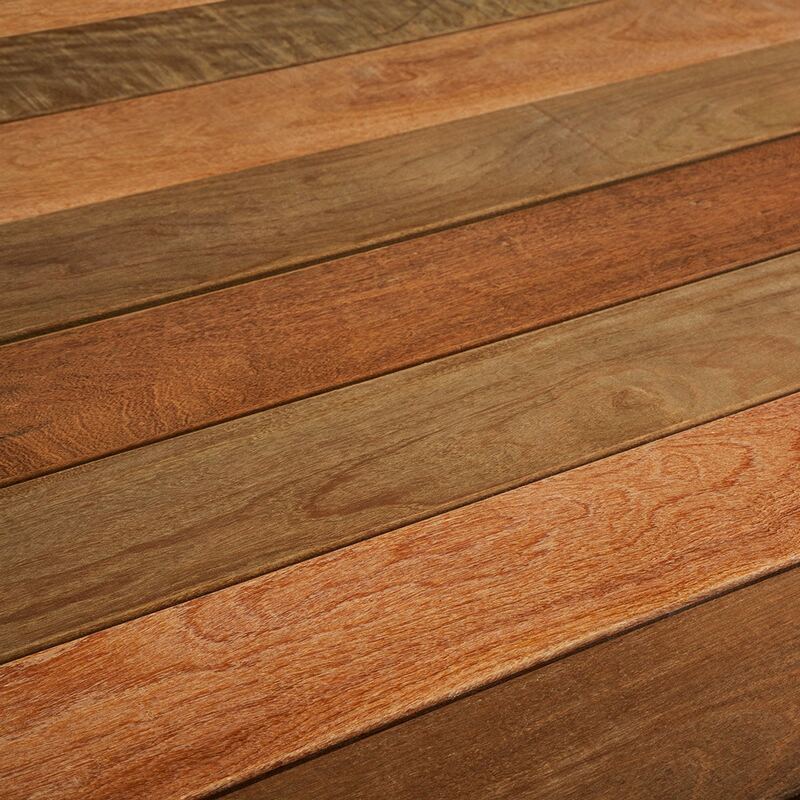 Ipe is almost twice as dense as most woods, up to five times harder, and found primarily in the Brazilian Amazon. These Ipe deck boards have a fine to medium texture, and the heartwood color for this exotic decking ranges from olive brown to blackish. Due to Pavilion’s Premium Ipe Decking’s strength it can be somewhat difficult to work with, especially with hand tools. Ipe decking can have a blunting effect on cutting edges, so pre-drilling for nails and screws is recommended.